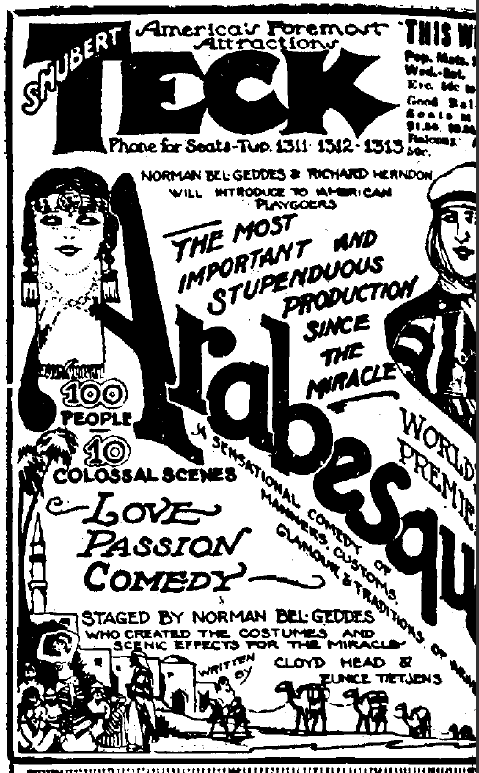 HORTENSE ALDEN, the lithe and beautiful Bedouin, and Bela Lugosi, the Sheik whom she lures to his destruction, in “Arabesque”, the first production of Norman-Bel Geddes and Richard Herndon at the National Theatre. 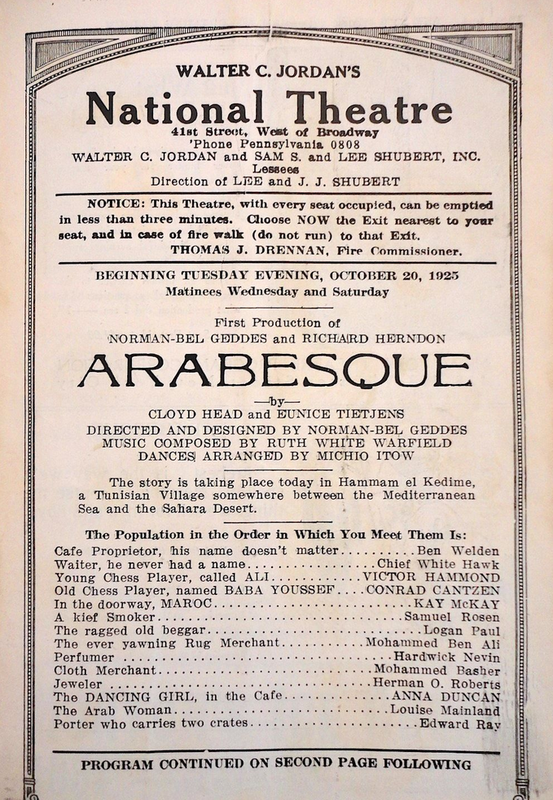 “Arabesque” is a modern comedy of manners written by Cloyd Head and Eunice Tietjens transferring to the stage the manners, customs, glamour and traditions of the Tunisian Arab, and telling at the same time a love story of singular tenderness and power in two acts and ten spectacular scenes. 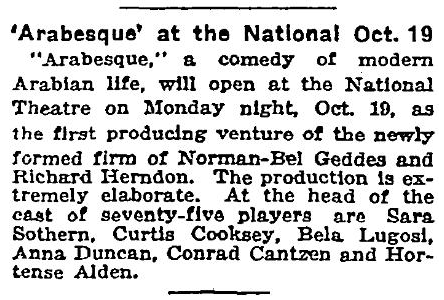 …at the National the corporation with the longest name in town, the Norman Bel Geddes-Richard Herndon Company, will present for public inspection a comedy of Arabian manners called “Arabesque.” It has about a hundred people in the cast and, in deference to its size, the producers are said to have removed, suicidally, several rows of orchestra chairs to make room for it. 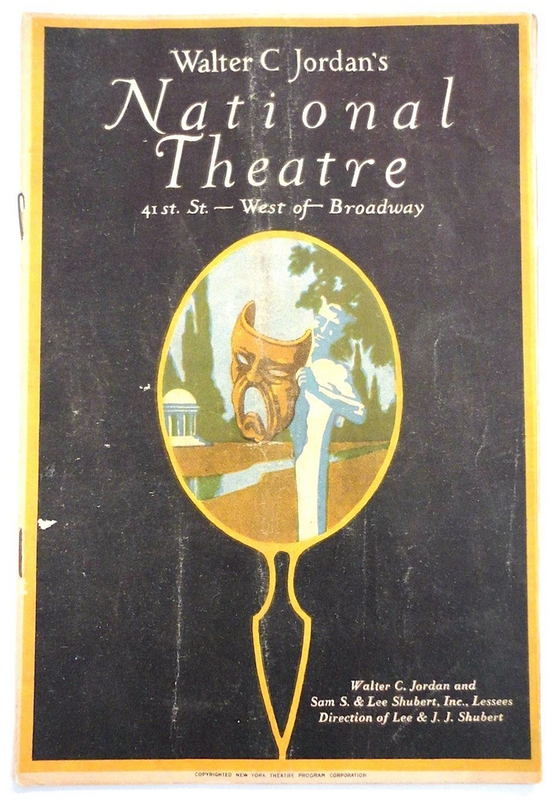 They have left enough of the penitential benches, however, to accommodate various persons this evening, and it is said that the invitation list includes Lady Diana Manners, who played the Maddona in Mr. Geddes’ sets for “The Miracle,” and Dr. Rudolf Kommer, Max Reinhardt’s representative here. 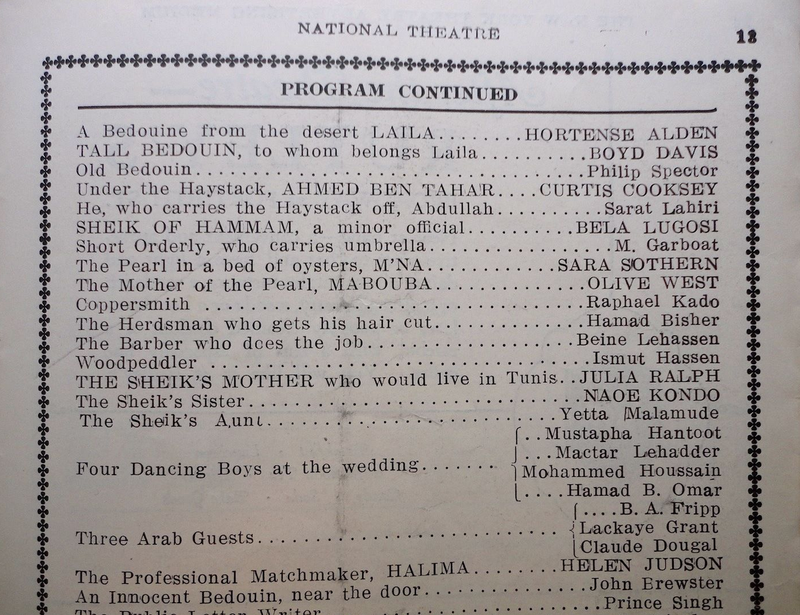 Out of deference to Bela Lugosi, a Hungarian actor who will play the steam-heated sheik in the production, several members of the Hungarian delegation to the Interparliamentary Conference, in session here, will attend. 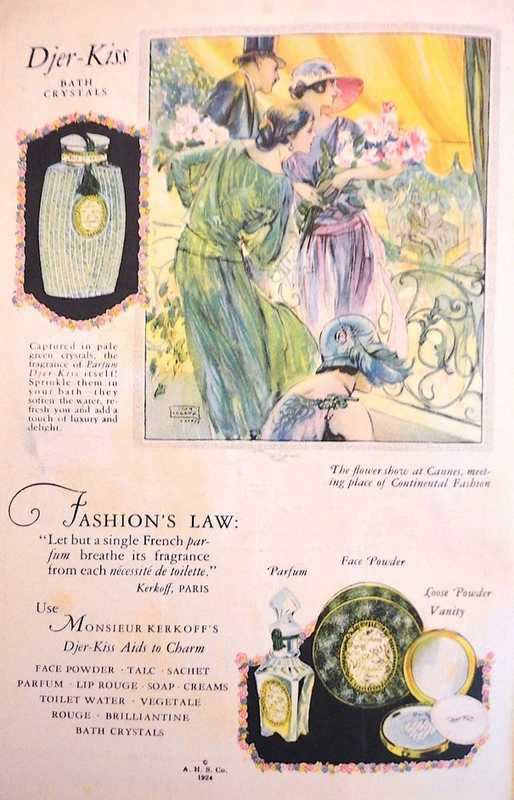 They include, in spite of the obvious difficulties in setting them down, Dr. Lucas, Dr. Gratz and Dr. Sgterenyl.